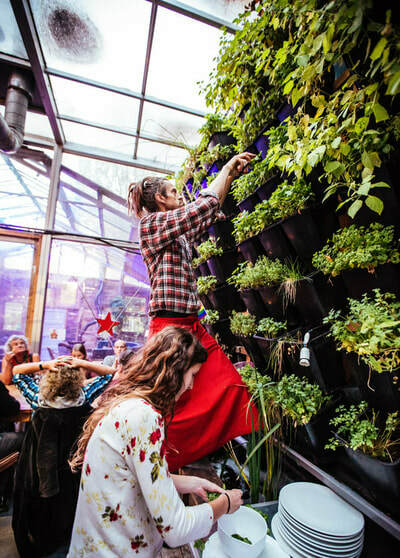 ​We experiment with small scale modular growing systems, built from recycled materials and designed to be both low in maintenance and to enable ease of plant growing. ​If we move, we take the garden with us! 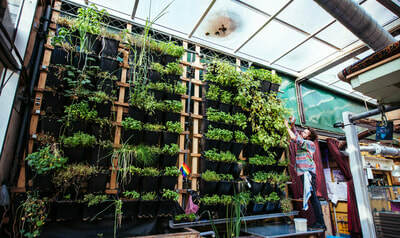 The aquaponics system enables us to grow vertically and make use of the greenhouse walls in an easy way. 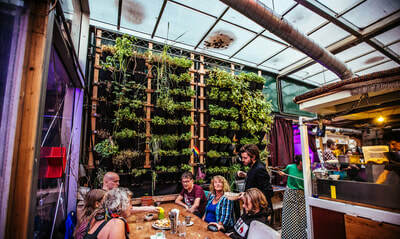 The green wall provides us with daily fresh herbs. It is an example of a closed loop grow system. In the water basin, carp are raised and fed with food waste and compost worms. The carp provide nutrition for the plants, and the plants are harvested for the kitchen. 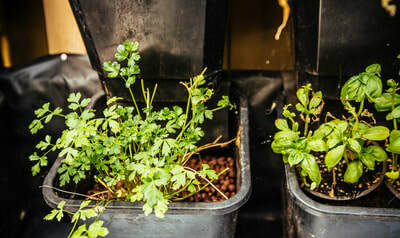 Self watering planters have a reserve of water, from which the soil can take water through a wick of sand or fabric. The reserve is enough to keep soil moisture constant for weeks. We have different models ranging from 10 litre to 1000. Worm compost provides the basis of the fertility of our growing systems. Compost worms are very effective in transforming kitchen peels into compost. The standard home system has three compartments with the green waste in different stages of maturity.